Again a warm welcome back to SVN straight out of he's infamous underground headquarter Neues Deutschland in Berlin. 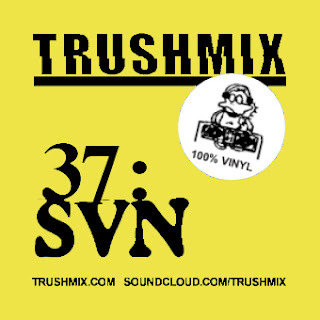 This is SVN third appearance here at trushmix, and again he surprises us. This time he has put together a fine tuned house and techno mix for us. More conventional then the two previous mixes, but in no way any less interesting. This is music from the top as always, from the sixth floor of Neues Deutschland to be precise. And don't forget to check out the new AU record which SVN together with friend and production partner DNL just released on General Elektro. It's their third release together under the moniker AU. And as always with the stunning and detailed hand drawn record sleeve. It's a must have for all fans out there! Hope you enjoy the mix and keep it real!